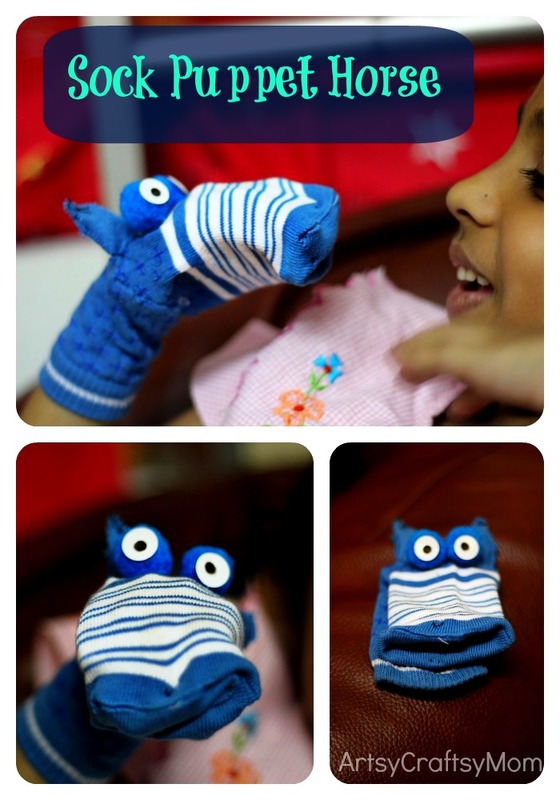 One of my colleague’s daughter had to take an animal sock puppet to her school. I find some schools really weird. 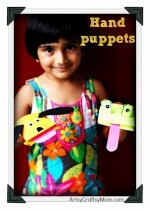 Expecting a 3 year old to make elaborate sock puppets. Ya! 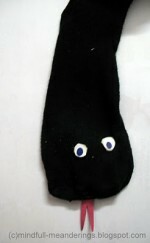 I know, Lil P made sock puppets when she was 3.. but it was just a black sock snake with a red tongue .. Very basic, very simple, and I did help her a LOT. I offered to make it for my friend as she needed it in a day.I love helping out friends like that. I cut out the heel part and used that as pointy ears. Used 2 blue pom poms as eyes and a cardboard circle sown inside, formed the mouth. I made one for Lil P and another for my friend using the pair she had lent me. Seems like fun. Great idea Shruti. Oh and I know the bit about ‘helping out friends’ being a beneficiary myself ;-). 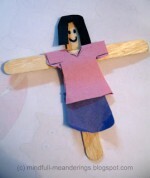 Hey what about the Artsy Craftsy Challenge?